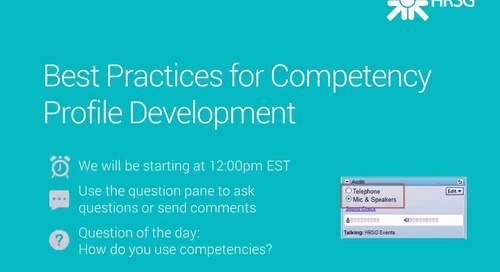 Best practices for implementing and using core competencies in your organization. Features HRSG client Nazlin Mohamed, Supervisor, Employee Relations from the Ontario Public Service Employees Union. 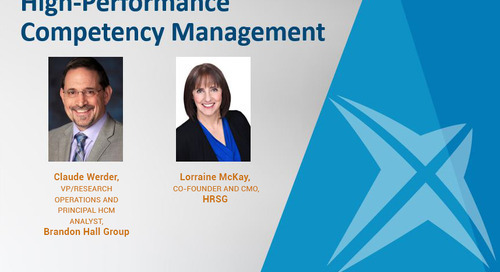 HRSG's Sarah Beckett and Jemellee Seletaria look at the traditional competency profiling process, how technology has changed things, and how you can map competencies quickly in your own organization. 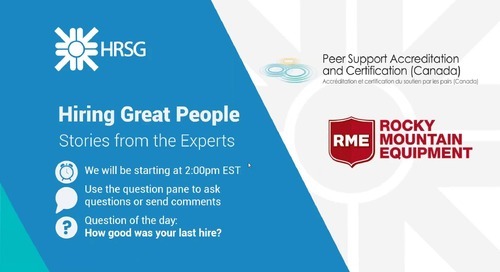 March 20th, 2019 Webinar on a bad HR Manager job description and how our software can help you create a S.M.A.R.T. job description. 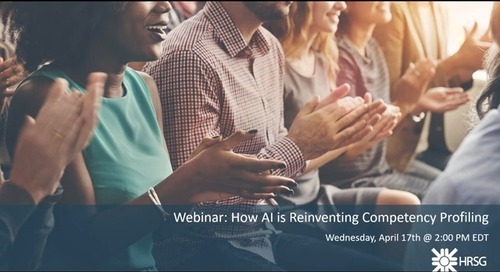 This webinar arms you with data, strategies and a success story that will help you make the business case for well-developed career development and career pathing. 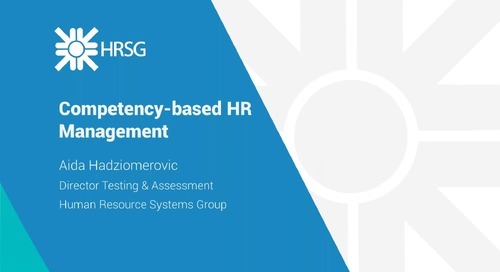 Join Aida Hadziomerovic as she focuses on competency-based HR management. This webinar was conducted for the Centre for Excellence in Mining Innovation (CEMI). 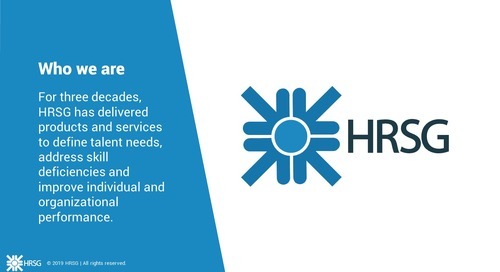 On February 5th, 2018, HRSG and their client Al Elm Company hosted a webinar covering how competencies can be used to assist in employee career development. 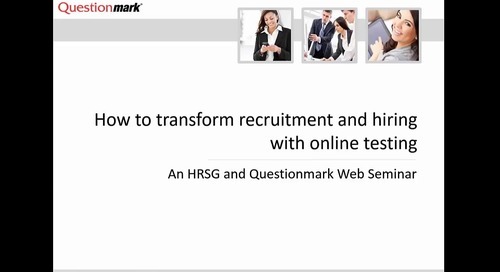 In this webinar, Dr. Glen Budgell, PhD senior strategic HR advisor at HRSG, will demonstrate how online testing is making the hiring process easier and more effective. 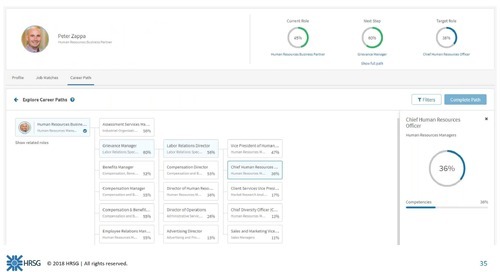 Increase employee engagement by integrating competencies in numerous talent management processes, such as talent acquisition, performance management, learning & development and career development. 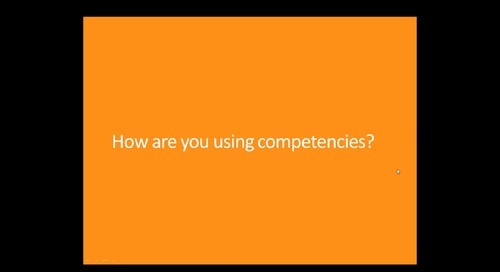 A panel of HR pros share their journeys into the world of competencies. Speakers will talk about why they chose competencies, how they’re using them, and how it has impacted the organization. 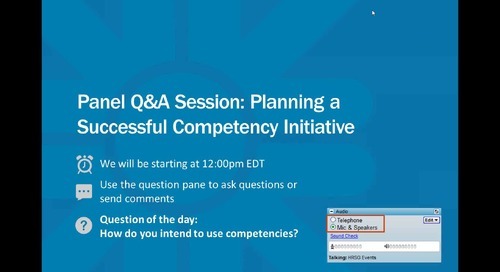 Learn about the key considerations for starting a competency initiative and the steps to follow to get you started on the right foot. 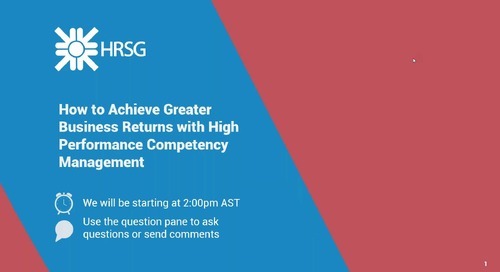 View HRSG’s archived webinar to learn how to build powerful, practical competency profiles.